The future of rigging is here, brought to us by David Driver of X-Rigging Rings. 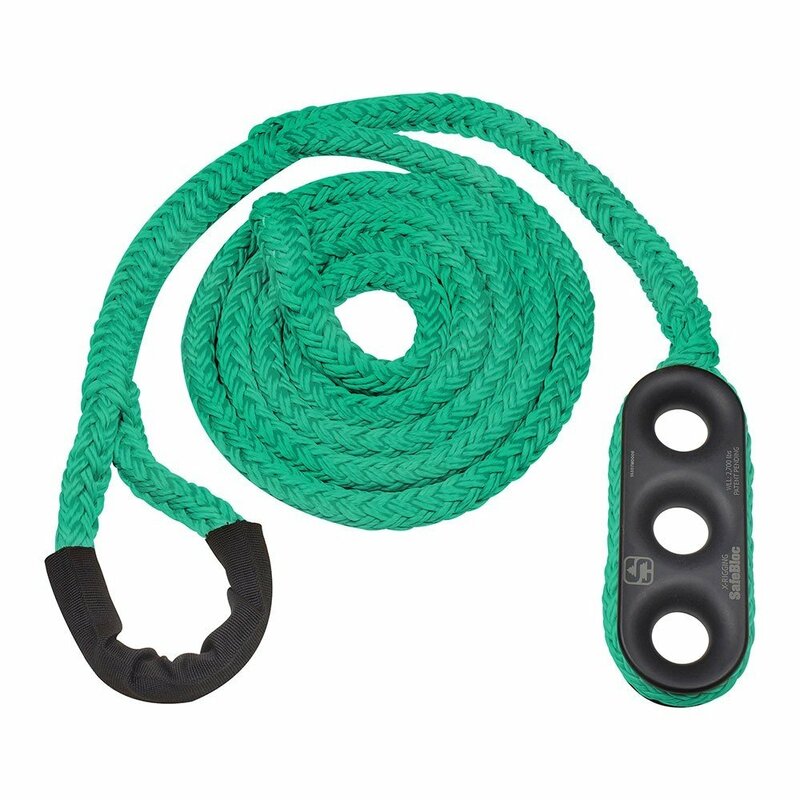 Notch and David worked together to develop a revolutionary friction tool for rope rigging work called the SafeBloc. 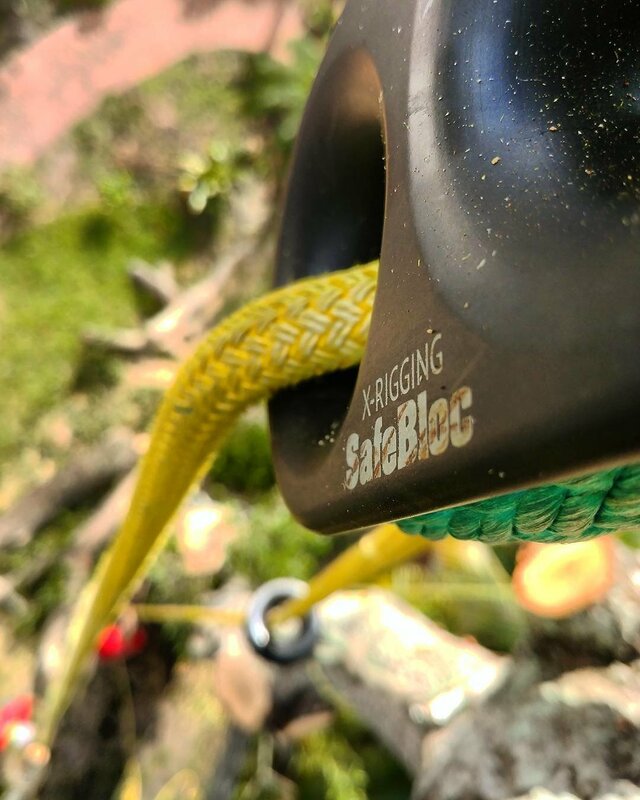 SafeBloc is a triple hole thimble that adds friction in the rigging system to anchor point, thus adding safety by reducing rigging point stress compared to a system that uses a block or pulley. Also, with the benefit of friction, the climber can often take over on the rigging line AFTER the groundperson has controlled the initial drop. This is true on small-to-medium loads. 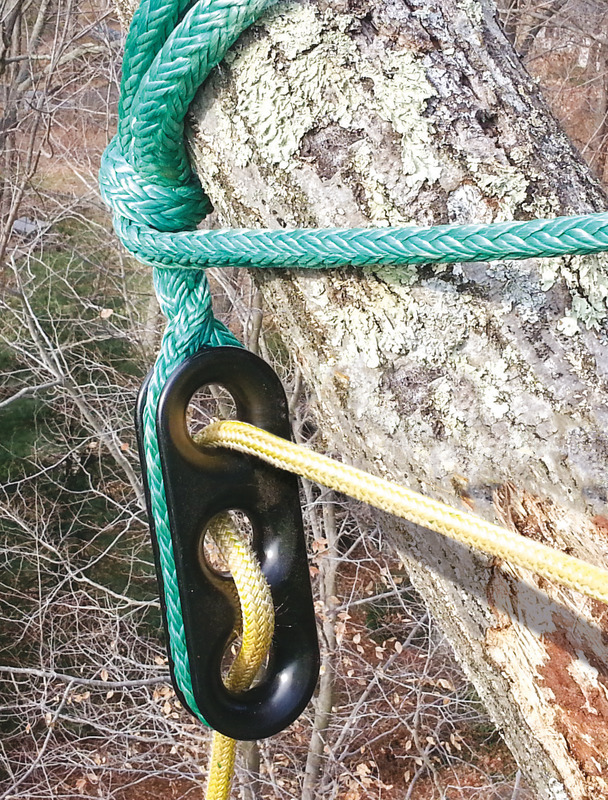 This frees up the groundperson to use both hands and the climber can FINISH the lowering. 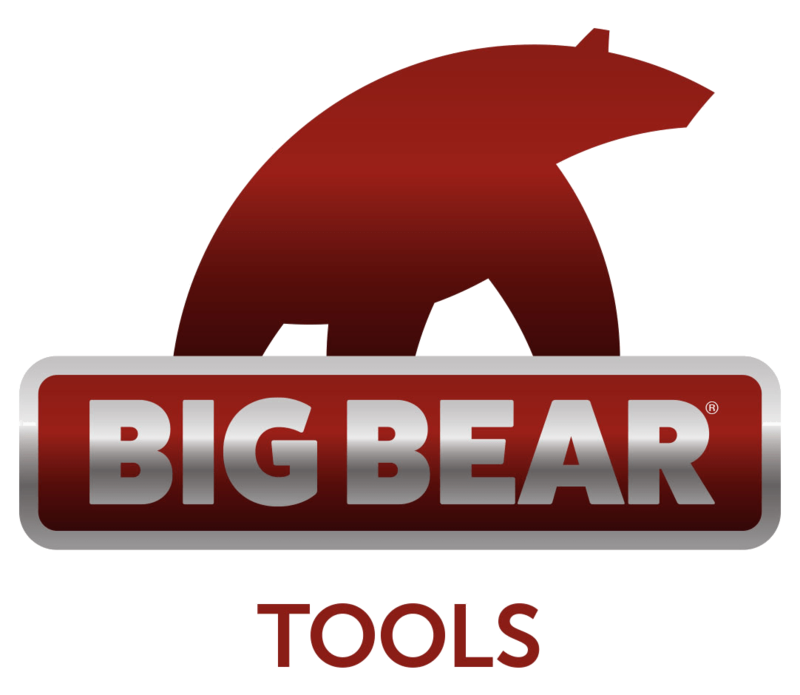 Lightweight and durable, the SafeBloc has no moving parts to wear out or damage, and is hardcoated for extended wear. The SafeBloc comes spliced onto an adjustable whoopie sling or standard straight sling made from 3/4-inch Tenex from Samson.